It's only 620 characters. We strongly recommend writing at least 1.000 characters. Use content that makes your app unique (features description, characteristics, how to use your app, ...). Your description needs to convince people to download your app. Also, be sure to add important and relevant keywords in your description to improve your iTunes app page and optimize your SEO. Your app's last version was released on September 18, 2017. It is important to regularly update your app. Best practices recommend to update your app every 4 to 6 weeks. This means fixing reported bugs, improving existing features, launching new features etc. Keep an eye on users' feedback. The next great features may already be asked by many users. 도안누리산부인과가 스마트폰 어플리케이션으로 산모 여러분들께 한걸음 다가갑니다. 병원에서 찍은 초음파 사진/동영상을 언제 어디서나 스마트폰으로 확인할 수 있습니다. 초대하기 기능으로 가족이나 친구들에게 아기의 첫 모습을 보여주세요. 주차별 임신정보, 임신/출산관련 계산기, 산모다이어리까지, 이제 도안누리산부인과 앱으로 행복한 출산을 준비해 보세요. 병원 소개 및 진료 안내, 전화번호등을 확인할 수 있습니다. 병원에서 촬영한 초음파 사진/동영상을 볼 수 있습니다. 가족이나 친구들을 초대하여 초음파 영상을 보여 줄 수 있으며 축하메시지도 나눌 수 있습니다. 병원 진료과목 및 시간 등 이용안내를 받으실 수 있습니다. 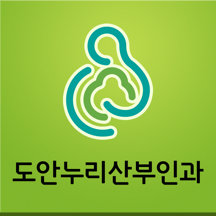 산후조리원 정보를 확인할 수 있습니다. 등록된 출산예정일에 따른 주차별 임신/육아정보를 확인할 수 있으며 출산예정일, 비만도, 태어날 아이의 키를 미리 계산해 볼 수 있습니다. 초음파 영상이 표시되는 산모 다이어리를 작성할 수 있습니다. 스튜디오 정보를 확인할 수 있습니다.